Le Peranakan is set in two wings of converted Straits Chinese-style shophouses, meaning all its rooms are upstairs. It’s located on East Coast Road, roughly half-way between downtown Singapore and the airport, making it a solid midrange spot for travellers looking for an overnigher not too far from the airport. Rooms are simple, compact and clean, all with hot-water bathrooms, WiFi and a window (not always a good thing if overlooking the road). There is also a rear upstairs terrace area, which is handy if you need to get some work done and don’t like working in bed. Our single room was just that: we’d have struggled to comfortably fit two people in. But the doubles and especially the triple rooms are considerably more spacious. 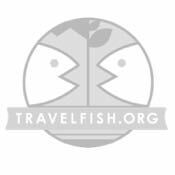 Families not bothered with the slightly out of town location should check online for discounted rates on the triples because they can be a great deal. The ground floor is given over to restaurants including a very good Italian joint, equal good cafe Penny University and a bar. This, combined with being right on a moderately busy road, can make for some street noise come the evening. The main disadvantage of being here, especially given the slightly out of town location, is that you are a solid 20-minute walk to the closest SMRT (Eunos or Kembangan) but East Coast Road does see plenty of bus traffic. Also, note that while on the map it looks to be close to East Coast Park and the waterfront as the crow flies, the pedestrian subway to get to the park is quite a walk away. It may well be a lot faster to get a cab. Aside from the good ground floor eating, a craft beer joint is across the road along with a smattering of laksa joints a few blocks to the east. Overall, if you’re looking for midrange accommodation not too far from the airport — it is about 15 minutes by taxi — and you can get an online discounted rate, then Le Peranakan is well worth considering. Staff are friendly and helpful. Last updated on 26th February, 2016. 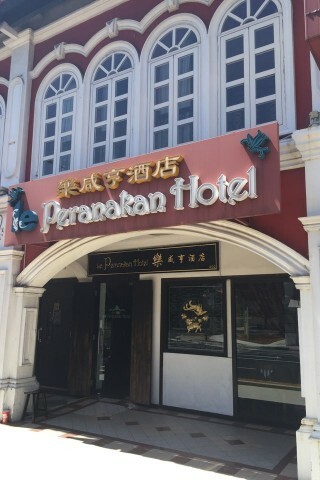 Check rates at Le Peranakan Hotel on Booking.com. A selection of some of our favourite sights and activities around Downtown Singapore.